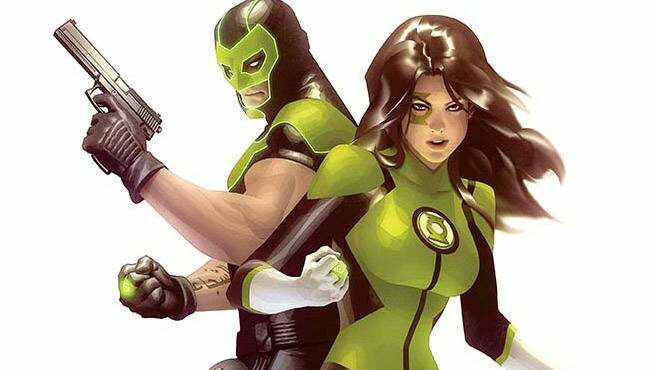 This comes courtesy of the greatness that is Collected Editions, we know now just how many issues will be collected in the first trade paperback edition of Green Lanterns! The “Rage Planet” storyline just wrapped up this week and that will be the cap off to this collection. Hit the jump below for the full description for that and the first Justice League trade. I’m excited to read Jessica and Simon’s adventures, though I’m still hesitant about the suggestion of Bleez as a villain (haven’t read the books themselves yet). Charles Soule did a lot to redeem Bleez in Red Lanterns and this sounds like erasing a lot of that.